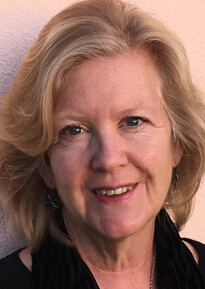 Gayle Gorman - Benedict Associates Ltd.Benedict Associates Ltd.
Gayle has served a variety of organizations as internal and external consultant, coach and teacher for over 20 years. She has also held senior management positions in strategic planning, operations and communications with organizations in the financial services sector, and has served on the boards of several not-for-profit organizations. Gayle has an MBA from the Wharton School, University of Pennsylvania, and an MS (2015) in Organizational Dynamics-Organizational Consulting and Executive Coaching, also from Penn. She earned her undergraduate degree from the College of William and Mary, and currently serves on the faculty of The Van Loan School of Graduate and Professional Studies, Endicott College. I have the opportunity to use my experience and expertise to offer organizational support, in addition to the traditional employee assistance offered through EAP. Recognizing that an organization is a collection of its individual employees often means that employee work issues also impact work groups and teams. Helping companies understand this connection while also providing coaching to leaders and teams to support organizational change initiatives, break down silos, and increase organizational and team effectiveness is what is excites me. There is nothing more gratifying witnessing the “ah ah moments” a client experiences through our work and whole-heartedly applying them to their individual situations. Knowing that my expertise can help someone else develop and grow is one of the reasons why I am so committed to what I do. A commitment to identifying opportunities to support individual development and ongoing learning, through the practices of teaching, coaching and consulting. We all have the answers we seek within ourselves. I believe in asking the important questions and offering guidance to those who wish to undertake a journey of self-discovery. Care for others, live with integrity, strive for collaboration, connection and engagement within the families and communities of which I am a part, start every day with a strong coffee. I can offer you my top three: Bermuda- home for 30 years and the calm of water views every day, Boston – an urban retreat, and Provence – frequently visited and many memories.